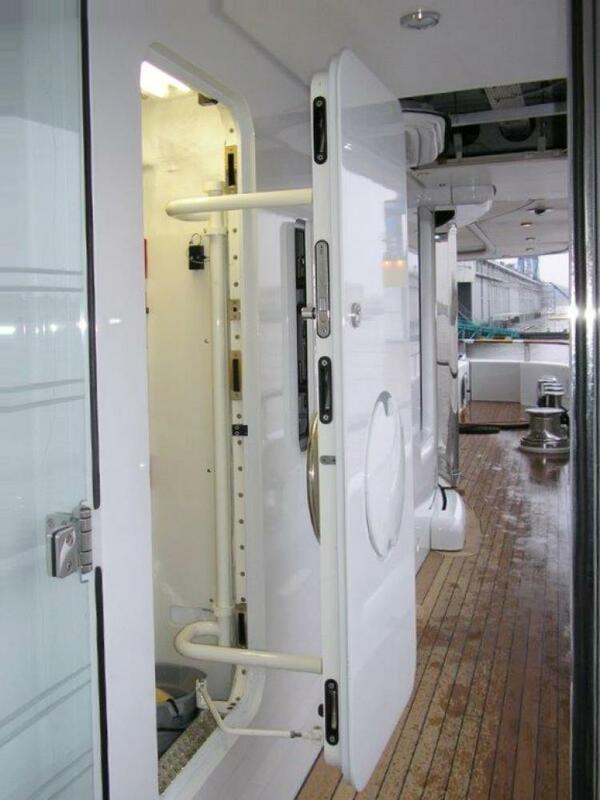 The doors are built flush with the hull superstructure and are available in a number of articulations, with a variety of glass options and can be opened either manually or with an electric dead man’s switch. Our pantograph doors are also water tight available. The pantograph doors are also available with bulletproof materials and glasses.